Are You Struggling with How to Keep Raccoons Away from Your Backyard? 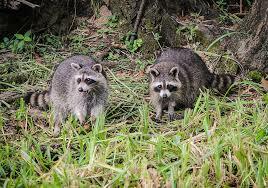 How to Get Rid of Raccoons from your backyard is a problem faced by many homeowners. I decided to build this site to answer that question and help others resolve their raccoon control problems. For me, this is no abstract issue. How to keep raccoons away from my backyard is a problem that I personally had to solve for myself. We have a large backyard. The raccoons would come into it every night. Sometimes they would pass through the yard a couple of hours after dark. Then, between 1:00 am and 3:00 am, they would return. At first, I discovered this because I would see the motion detector lights go on in the backyard. When I looked outside, I could see the raccoons digging up the lawn. As long as the raccoons just dug raccoon holes in the yard, I wasn’t overly concerned. 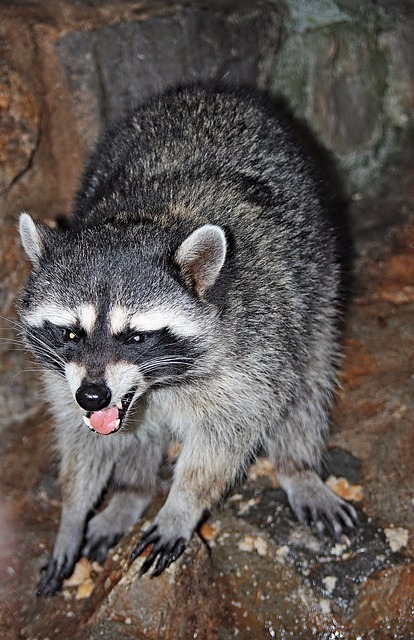 Anyone living in an area with wild animals can look outside at night and see raccoon eating insects or a raccoon eating garbage from garbage cans in the yard. However, increasingly after eating the insects, I discovered that this raccoon family came to party. It was starting to become obvious that I was going to need some sort of animal control or raccoon repellents. What is an Effective Raccoon Repellent? It became obvious that, like so many others, we needed a raccoon repellent. But, it got worse. Not only were these raccoons swimming and partying in the deep end of the pool, but, when the party was over, they would go over to the shallow side of the pool and poop before leaving. There is nothing more disgusting than having to clean raccoon poop from your swimming pool. repelling raccoons. By now, I had become used to sitting up at night, hiding in the family room, trying to figure out how to deter raccoons. When the motion lights came on, I knew it was them. It became clear that I would be preoccupied for a while with raccoon control. On a few occasions, I ran outside in my slippers to confront the raccoons with a long pole – the same one used to clean the pool. That is not a course of action I recommend. These critters were not afraid of me. Now, I am 6ft 5ins and 255 lbs. The raccoons were not impressed. On more than one occasion, they actually turned to challenge me in my own backyard. One night, I had a really close call. The grass was wet, and, while trying to scare them away by throwing a rock, I slipped and fell. Luckily for me, they had moved far enough away that I was able to get up and retreat into the house. So, challenging or confronting raccoons is not an answer to the question, how to keep raccoons away. 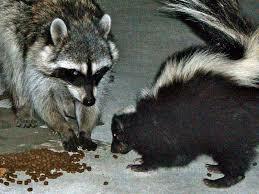 The raccoon poop in the pool got so bad that I thought about killing these critters. Of course, I realized that doing so would not solve the problem because more raccoons would come back. Plus, I was determined to find a humane solution to this raccoon problem. Even so, my daughter would hate me if I harmed an animal. So, I decided there had to be another method of raccoon control for me to explore. I ordered a motion activated animal deterrent sprinkler for pest control in my backyard. My first one was the Contech Scarecrow. However, I soon realized that because of the size of my backyard, I needed more than one sprinkler system. 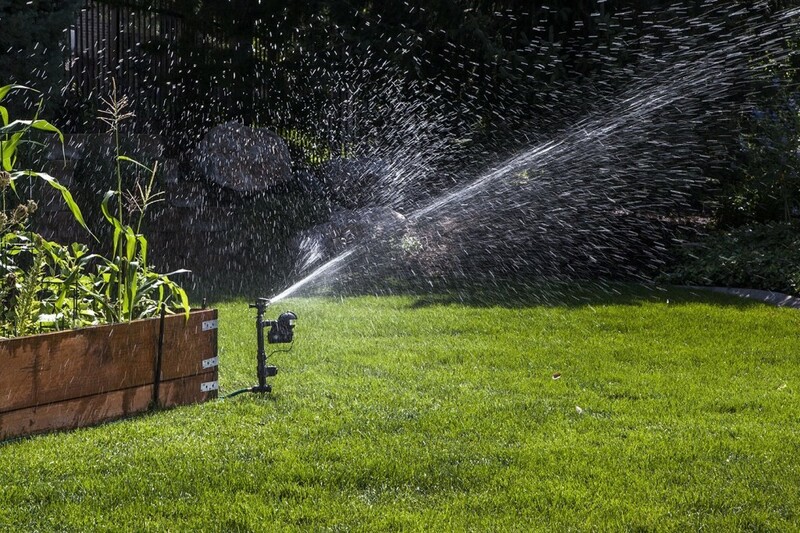 Because Contech stopped the manufacture of these garden scarecrow sprinklers, my research led me to explore some of the other garden scarecrow sprinklers on the market. I ordered three Orbit Motion Sensor Sprinklers from Amazon. The Orbit Yard Enforcer is clearly an improvement over the original design of the Contech. Unlike the Contech scarecrow sprinkler, the Orbit has a really convenient Dusk to dawn feature which saves considerable battery life and eliminates me having to go outside every morning to turn the device off. Because raccoons are nocturnal creatures, this design made a lot of sense as an instrument of raccoon control. The Dusk to dawn feature allows you to set the device to work only at night. The Orbit Enforcer also has an adjustable motion sensor which allows you to tilt the sensor up for large animals or towards the ground for smaller animals. After unpacking and brief assembly, I set the Orbit Yard Enforcer up in the backyard. 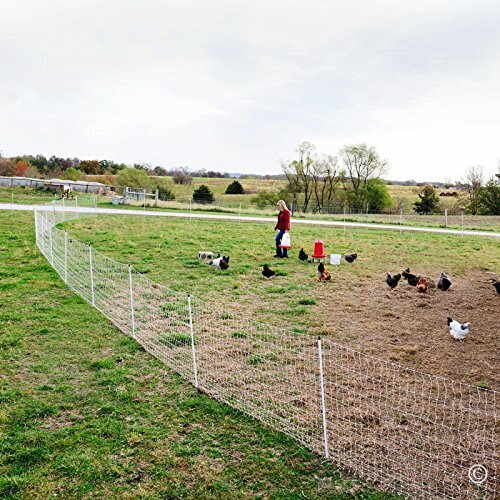 I set three of them in a pattern to create a mime field in the backyard for critter control. The 120-degree sensor allowed me to block the two side entrances (which animals would have to use if they crawled under the front wrought iron fence on either side) as well as provide raccoon control coverage for the back of the yard. The latter was necessary because the raccoons are smart enough that they adapted and started climbing over the back fence. I was concerned about this possibility because the back fence is quite wide. I needed a raccoon repellent along the back fence as well. Next, I thoroughly cleaned and shocked the pool like I had done so many other times. Weeks went by. The pool remained clean. There was no raccoon crap in the pool. At first, I thought they just hadn’t been by in a while. So, I sat up one night to check for myself. It worked. I saw the raccoons as they tried sneaking by along the back fence of the yard only to be hit by the backward facing sprinkler. And the noise made by the sprinkler scared them away as well. Success. 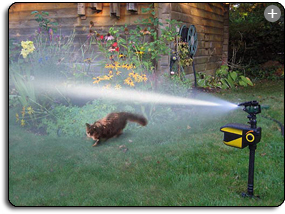 The Motion-Activated Sprinkler actually helped me Get Rid of Raccoons. I highly recommend a motion activated sprinkler as an answer to the question, How to Get Rid of Raccoons. Raccoons are crafty and very persistent creatures. They will exploit any opening into your backyard. If you have a fence, they will dig a hole under it. If you secure the hole, they will knock one of the panels out of the fence. If you want to permanently control raccoons in your yard, then you have to be vigilant and monitor the degree of success of any method of raccoon control. Therefore, in order for a motion activated sprinkler to be effective as a means of raccoon control, you must have enough of them to adequately cover the access points. Since writing this post, I had to increase my coverage and buy an additional one because the raccoons began to penetrate my perimeter again. They had found an unprotected way in along that back wall I was concerned about. The other point I want to add as an update is that you should occasionally move the sprinklers around. The raccoons will continue to probe for entry points. By moving the sprinklers around, you will catch them off guard when they memorize where the sprinklers used to be. These critters are pretty smart. The Orbit Yard Enforcer solved the problem of raccoon poop in my pool. I am living proof that it is an effective raccoon repellent. The downside with the Contech Scarecrow was that, occasionally, I forgot to go outside in the morning to turn the water off. The result was that when my wife stepped outside on the back patio, she got drenched and came running back in the house screaming at me to turn my “thing” off. With the orbit Dusk to dawn feature, that problem was resolved. The Contech Scarecrow is also an effective raccoon deterrent, but it is not motion activated. There is a small “extra” part contained in the Yard Enforcer package. You can use it to position the motion sensor lower to the ground (to detect rabbits I guess) by attaching the motion sensor directly to the rectangular valve. I used to buy a similar product, the original Contech “scarecrow”, and I have gone through about ten over the last ten years. This is the first Yard Enforcer I tried. Knowing the weaknesses of the scarecrow I was hoping that this would be a better solution. I keep buying these motion sensor sprinkler to keep the deer, raccoons, and geese out of our yard, and I normally have three of them set up at the same time to cover several areas at once. As soon as I opened the package I realized why this was a bit more expensive than the scarecrow. 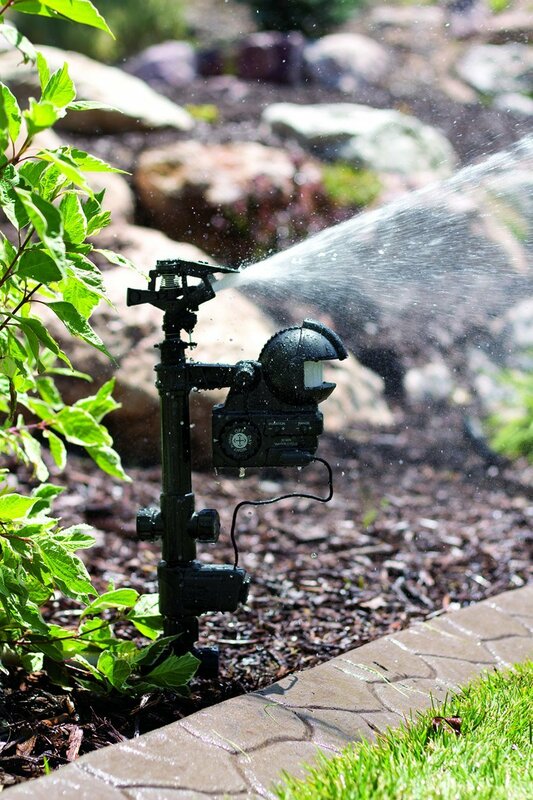 The Yard Enforcer is made of better materials, the stake and base are made of metal, and so is the hose connection, the plastic housing to which the sprinkler attaches is sturdier as well. Q. Does the Orbit Yard Enforcer sprinkler work as a means of raccoon control in the dark? A. Yes. Raccoons are nocturnal creatures. They come out at night. However, the infrared sensor works in the day as well. The beauty of this device is its versatility. It can be set to work at night only or both day and night. Any person or animal triggering the device will be scared and get drenched – day or night. Q. Did the Orbit Yard Enforcer solve the problem of How to get rid of raccoons? A. Yes. I recommend this product because I now have four of them, myself, in my own backyard. I have no more raccoons crapping in my pool. They creep by out of range of the sensor. However, raccoons are persistent. Keep a supply of batteries to power the unit and keep them away. And inspect your fence from time to time. They will keep trying to find a way in. Q. Does the motion detector sprinkler harm animals? A. No. The motion sensor sprinkler is a safe, humane raccoon deterrent. Q. Does the Yard Enforcer deter other animals as well? A. Yes. The Yard Enforcer not only solved the problem of how to get rid of raccoons, but it also repels deer, rabbits, cats, dogs, possums, skunks, and squirrels from your backyard, pond, or pool. Q. Is the Orbit the only motion detector sprinkler? A. No here are some others and where they can be purchased. Q. 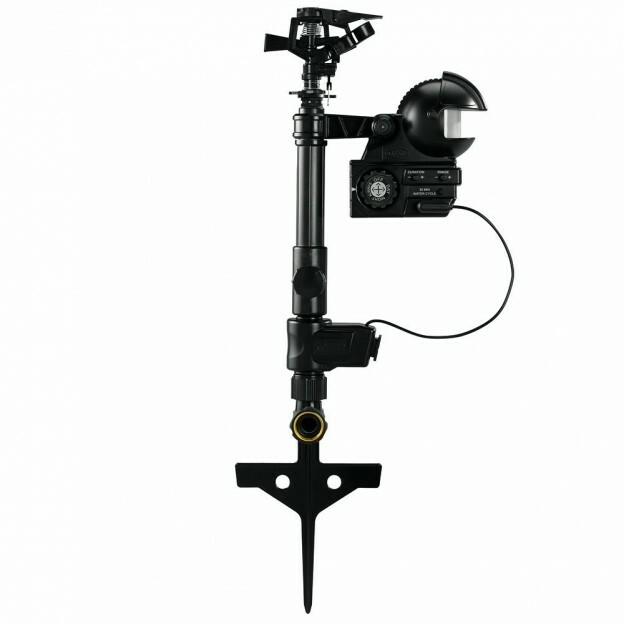 Where can I buy the Orbit sprinkler? 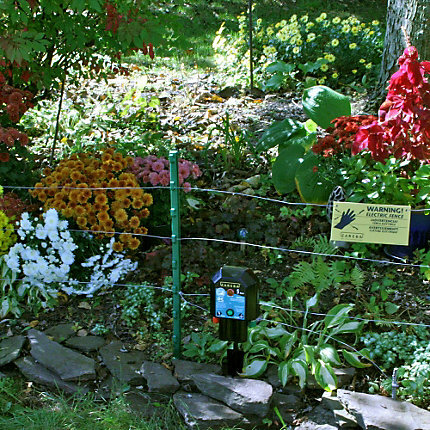 Is a motion sprinkler the only effective animal control repellent for a garden, swimming pool, or backyard? A. No. Read this post to see if this solution is for you.